Thinking of renovating your kitchen? We here to assist you. You can rest assured knowing your kitchen or bathroom renovation is in capable, professional hands. 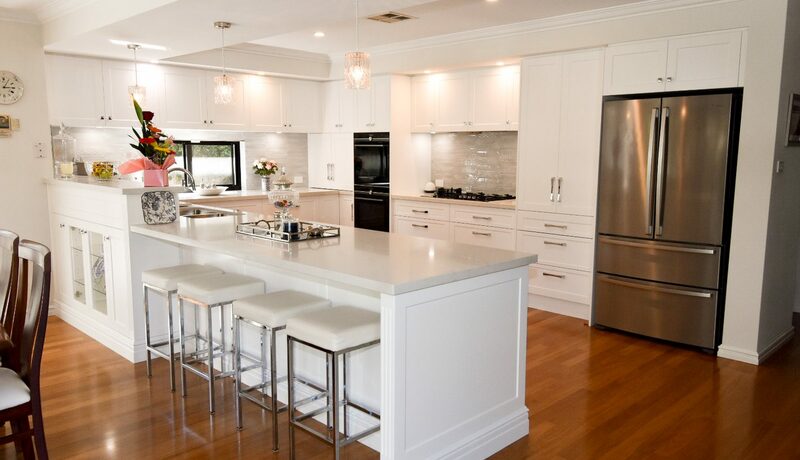 Ikal Kitchens, located at 63 King Edward Road, Osborne Park, is the ultimate kitchen renovations team in Osborne Park. If you are looking to add style & elegance to your home visiting our showroom/factory is the first step. We offer an obligation free consultation with one of our designers who will make your dream a reality. Our team of cabinet makers, designers and installers are ready to provide you with a bespoke kitchen or bathroom renovation to suit your needs. After the initial consultation, we’ll get to work on your renovation in accordance with your budget and unique style. Whether you prefer a classic, modern, trendy or vintage look, we have the experience and expertise to meet your project needs. With over 25 years proudly serving our happy clients state wide our team of award winning designers & cabinet makers will create you with bespoke cabinetry to suit your needs & budget. Contact us today for an obligation free design and quotation service.